Calculate the MCI of your products directly in GaBi! 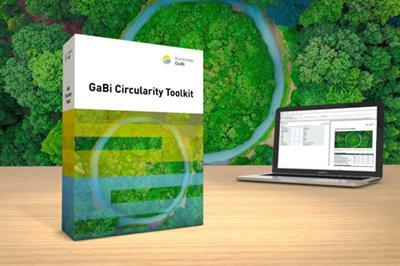 With the GaBi Circularity Toolkit you can determine the MCI* (Material Circularity Index) of your products based on GaBi Life Cycle Models. GaBi, in conjunction with the Circularity Toolkit, is the only software on the market that supports both LCA and MCI calculations! 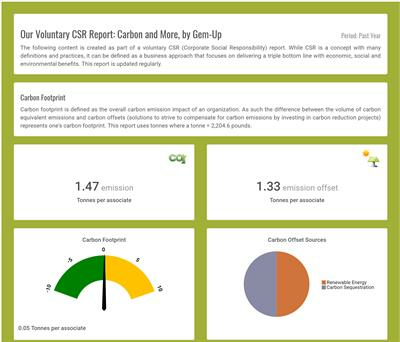 Carbon-And-More is a one-stop-shop solution for small and medium-size companies who want to track and minimize their carbon footprint, paper usage, water usage and many others.Also Carbon-And-More features donation and volunteerism management and provided an automated and simple way to generate online CSR report for sharing. By Carbon-And-More based in Mississauga, ONTARIO (CANADA). By Emisoft AS based in Bergen, NORWAY. By FigBytes Inc. based in Gatineau, QUEBEC (CANADA). We offer answers to environmental problems caused by human activity, using prevention and impact correction strategies based on multi-objective analysis. By ZETA AMALTEA, S.L. based in zaragoza, SPAIN. By CSRHub based in Seattle, NEW YORK (USA). Sustainability is good for the planet…and your bottom line. JadeTrack allows you to analyze and report on tangible metrics for energy efficiency, corporate social responsibility and sustainability. The automation of data gathering allows you to spend less time tracking results and more time implementing new strategies. Beside stakeholder cooperation, we need more and better technology integration, not only in agriculture, in general. 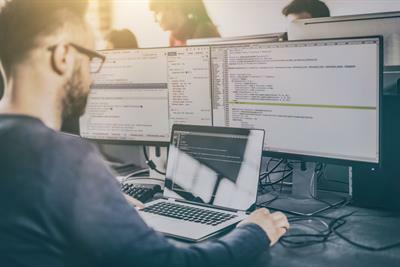 Problem of today is also the sector-oriented work that in many cases does not allow the setup cross-sector or also cross-border solutions with the integration of varieties of sensors to setup IoT (Internet of Things) solutions. By Disk Drive Solutions based in Eastvale, CALIFORNIA (USA). The Need for Comparable Data – beyond financial data, investors are now interested in issues such as how a company is prepared for the challenges of resource constraints, the damaging effects of climate change, and higher demand brought on by population growth and emerging markets. Allows for planning and budgeting of land access activities, the definition of compensation rules for land access, and the capture and processing of field data to ensure delivery of compensation packages to appropriate stakeholders, while enforcing data security and control.